A pair of smaller (but no less important) pickups for my Linden collection. These come courtesy of a fellow Linden collector who scoped out some goodies. I'm finding that the low level Lindens are becoming more desirable for me of late. 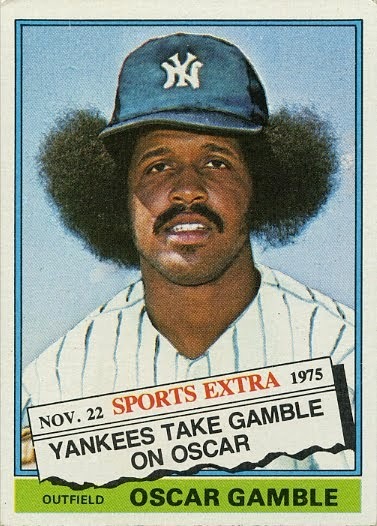 The prospect of chasing so many "rare" cards with umpteen parallels is getting a little tiring. Don't get me wrong...I'm still hunting for them. I just may not choose to fire a bid on them when they do show up. No worries here though. Both are relative "cheapies". Trev's first foray into the Upper Deck Overtime product. For those not familiar, it's a product that you can't get off the shelf. Packs of Overtime are handed out to buyers who pick up certain products at the card shop. I've snagged a couple packs (on the longshot chance of pulling a Linden) from when I bought the latest Artifacts release. No dice for me so I've resorted to the help of another collector. Much thanks. In addition to this simple base card, there is a blue parallel, a red parallel numbered to 99 and a gold parallel that has a sticker autograph on it. I've seen one of the signed copies pop up already but the asking price was too high for my liking. I felt I made a fair offer but the seller is looking for more. I can respect that. He might just get it.....but not from me. 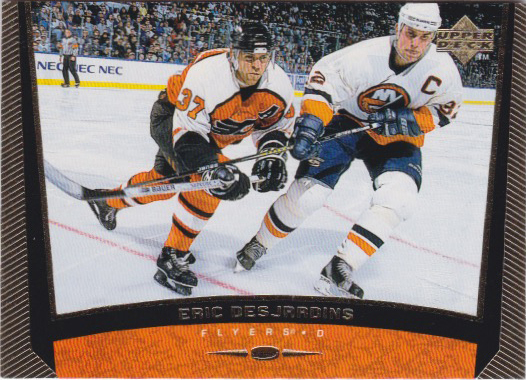 So this is an Eric Desjardins card. Obviously by looking at it you can see Linden's cameo in the photo. 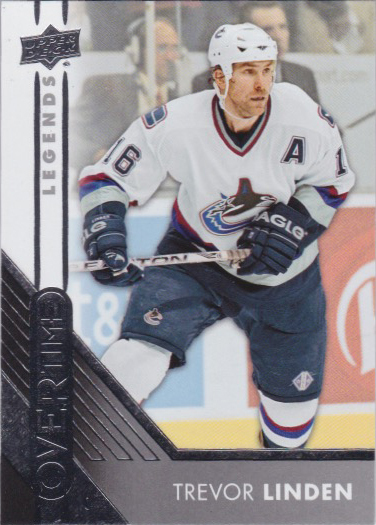 In fact, you could put Linden's name on the card and the photo could still make sense. That's how prevalent he is on this pic. But what makes this card so special is that it is one of those UD Exclusive "error" card like the Linden I received recently. I must say that I'm pretty excited to land this copy. The completist in me was really happy to find a copy of this. And with that, two more off the list. Yes, I've added waaaaaaaaay more since back onto the list but that's how she goes nowadays. More Linden cards to share before the end of the year, and I'm very excited to announce that I will be having my first batch of COMC cards shipped before the end of the month. Some real gems in there. Stay tuned. COMC can be very addictive, I'll be getting my 4th shipment later this month when they do the free shipping program. I know three dollars is not much for shipping, but i can turn that in to at least a couple more cards instead. Totally agree. I'm excited to finish going through the process here for the first time later this month.